Here are some thoughts and of course, plant pictures, from a recent visit to this special garden in East Sussex, England. 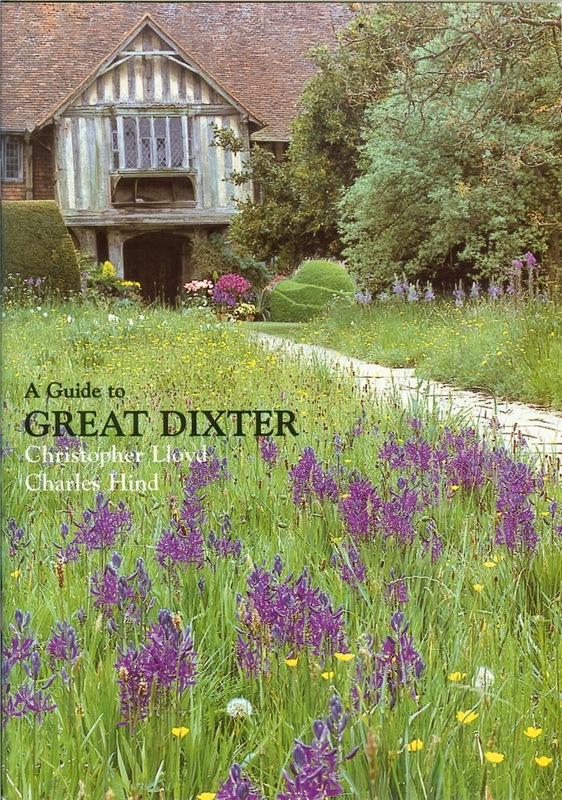 We “won” an auction item to spend a day at Great Dixter. It turned out to be a visit that changed our views of many things, including gardening. I can’t deny it, the oast house (for drying hops) and its three cowls were initially the most eye-catching Great Dixter feature. I had never seen anything like it before, a kind of land-bound steamship. According to the Great Dixter Guide, the oast house was build around 1890 and used up to 1939. The cowls turn with the wind to prevent smoke and steam from entering back into the kiln. Oast houses are characteristic of the Weald (from Old English signifying woodland), an area in Southeast England situated between the parallel chalk escarpments of the North and the South Downs. The slumped front porch makes one stop and ponder (hopefully to yourself) "why haven’t they shored it up?" But that is the wrong urge for this house. We stayed one night in the Luytens’ addition (to the left of the front porch when you look at the house from the front). The only (sensible) precaution we were given was to be careful with a certain antique table’s top. Other than that, we were free to explore. I remember going to sleep reading from a Sackville-West’s In Your Garden that was in the bookshelf. It is surprising - on reflection now several weeks later and reviewing the garden overview in detail - how the layout of the house and garden makes it easy to make endless circuits through them and feel like you are taking a different path each time. Both the house and the garden have many “doors” to access different rooms so the discovery potential is rich. Plantings that rarely reveal visible soil. One species may be in full bloom, but right behind it temporally, and underneath it spatially, another is ready for its time to shine. The result is little bare ground waiting for something to fill in. After a visit to Great Dixter, you’ll never look at bare soil in a garden design quite the same way. It has changed our own approach in our small garden back in Seattle. Gardening by putting different plants together, not separating them. And, embracing ever-changing combinations of plants that may never be the same as what you see at a particular moment. The pot displays, such as the one in the walled garden and the ones by the entry. On first glance, they might seem like a causal arrangement. But it’s better to think of them as one of many of the tests one of the lucky interns or staff might need to take. The terrace off of the Yeoman’s Hall has plants between the stone pavers, simultaneously challenging your sense of order and offering an invitation to walk carefully among them to explore. 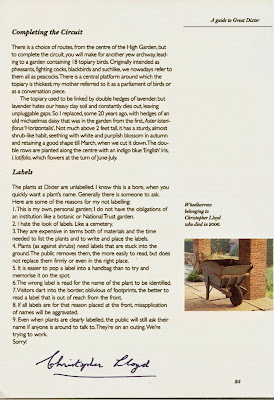 A list of plants is given below. We were moved by the generosity we were given in time and information from all the people we encountered during our stay, including head gardener Fergus, staff that helped us, to students who took time to show us around. While at lunch for fish and chips in Northiam (not bad, but go to Maggies in Hastings if you can), we picked up the The National Gardens Scheme – Gardens Open for Charity (www.ngs.org.uk). The guide lists outstanding gardens through England and Wales which are open to raise money for charity. Most of the gardens are private and are not normally open to visitors. The guide emphasized to us how important gardens and gardening, and pride of sharing your garden are an important part of the English culture. 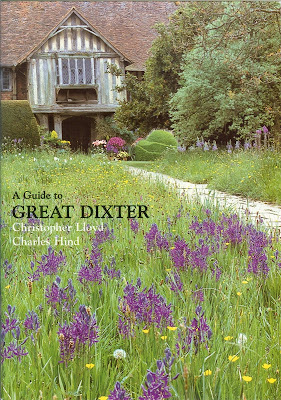 We include links to the Great Dixter nursery where we could find the plant in the online catalog. We did this for two reasons. We believe that the nursery only sells what is propagated there so it’s a good check that we have identified the right plant. Also, the descriptions of some of the plants are entertaining. Furthermore, we don’t have a picture for every plant we list below. And finally, we were visiting in May so we witness to just a a fraction of what the Garden displays throughout the year. Finally, a note about gathering these names. It was a bit of a chore because nothing is labeled in the gardens. I suppose if we had more time, we could have spent some time in the nursery and asked. However, we did it by badgering people and then endless flipping through books back at home. In particular, the “Wheel Tree” Trochodendron aralioides was very difficult to identify. We brute-forced this identification. Using the 1000 plus page American Horticultural Society A to Z Encyclopedia of Garden Plants, we scanned each page until we found it. Dactylorhiza fucshii – Entry talking about them in the front meadow. Gunnera tinctoria [nursery] – Entry talking about them along the Horse Pond. Morus nigra [nursery] There used to be two mulberry trees, now there is one. Interesting flowers. Rhinanthus minor [ref] – The meadow’s secret weapon? Yellow rattle in the meadows parasitizes grasses and allows for greater diversity of non-grasses. Also, see the 2014 Great Dixter Nusery Catalog.